Jennifer is a Licensed Professional Counselor and a Certified Clinical Alcohol and Drug Counselor experienced in working with substance abuse, anger management, anxiety, depression, diversity, sexuality, and grief issues. Jennifer works with families, couples, and individuals of all ages. She utilizes Humanistic, Cognitive, Behavioral, and Play therapies. Heather is a Licensed Professional Counselor who has experience with substance abuse, depression, anxiety, severe and persistent mental illnesses, grief issues, and conflict resolution. Heather has worked with adults, couples, adolescents and children. Heather also works with Anger Management and Domestic Violence groups. 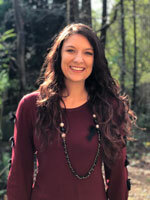 Heather utilizes Cognitive Behavioral, and Solution Focused types of therapy. 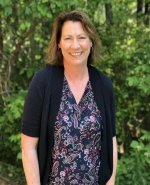 Kim is a Licensed Professional Counselor who has experience working with clients related to anxiety, depression, impulse control, anger management and conflict resolution. Kim works with children, adolescents, families and adults. She utilizes Family Systems, Cognitive Behavioral, and Experiential therapies. 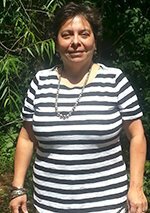 Miriam is a bilingual Licensed Professional Counselor experienced in working with behavior issues, anxiety, depression, diversity and adolescent concerns. Miriam counsels in both English and Spanish. She specializes in working with children, individuals, couples and families utilizing Solution Focused, Family Systems and Cognitive Behavioral therapies. 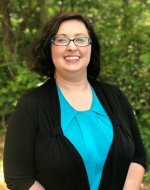 Melanie earned her Master of Arts in Community Counseling and has experience working with DFCS, couples, families, crisis management, impulse control, substance abuse and conflict resolution. She also facilitates Anger Management and Drug/Alcohol Abuse groups. Melanie’s counseling approaches are based on individual needs and goals. She is passionate about empowering clients to reach their optimal potential. She specializes in working with individuals, families and groups utilizing Cognitive Behavioral, Solution Focused and Family Systems therapies. Jackie Martin has a Masters of Science in Clinical Counseling Psychology and a Masters of Fine Arts in Creative Writing. 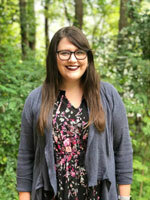 She has experience working with individuals with depression, bi-polar disorder, schizophrenia, anxiety, childhood disorders, and personality and interpersonal conflicts. She uses psychodynamic, cognitive-behavioral, narrative and solution-focused therapies. Laura graduated with her Masters of Science in Clinical Mental Health Counseling from the University of Texas at El Paso and counsels in English and Spanish. She has experience working with children, adolescents, adults, couples, and families with depression, anxiety, trauma, relationship issues, self-harm, faith and spiritual issues, and more. She utilizes Cognitive-Behavioral, Existential, solution-focused, and trauma therapies. 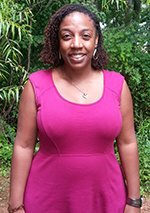 Kamarya has a Masters of Science in Clinical Counseling Psychology from Brenau University. She has experience working with individuals with depression, anxiety, childhood disorders, sexual, emotional and verbal abuse as well as relationship conflicts. Kamarya also has previous DFCS experience working with individuals whose children are in foster care. 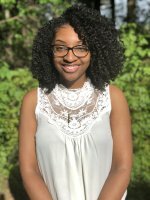 Kamarya’s counseling approaches are based on individual needs; however, her preference is to utilize the Cognitive Behavioral, Solution-Focused and Family Systems approaches. Bill is a Licensed Professional Counselor and is a National Certified Addiction Counselor. Bill is perceptive and understanding of people in recovery from substance use/mental health disorders or those who have been affected by this. 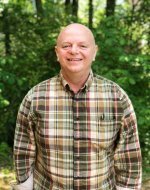 Bill is experienced in working with people with substance abuse, family violence, anger management, depression, grief issues, anxiety, spiritual struggles, and codependency. Bill works with individuals of all ages and families of various ethnic and socio-economic backgrounds. He utilizes Cognitive Behavioral, Reality, Solution Oriented therapy, and is able to integrate faith with psychotherapy based on client’s request. 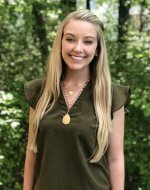 Denise earned her Bachelor of Science in Psychology from Brenau University and is working towards a Master of Science in Clinical Counseling Psychology. She has experience working with clients related to substance abuse, emotional issues, anxiety, depression and relationship conflict. She utilizes Cognitive Behavioral and Solution focused therapies. She also facilitates Anger Management and Substance Abuse groups. Joan earned her Master's of Science in Clinical Counseling Psychology from Brenau University. 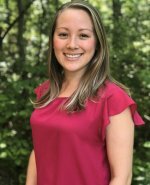 She enjoys working with children, adolescents, adults, and families, utilizing cognitive behavioral therapy, dialectical behavior therapy, play therapy, and person centered therapy. 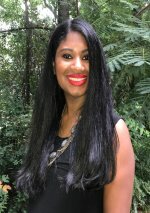 She has experience working with individuals struggling with depression, anxiety, post-traumatic stress disorder, behavioral problems, and eating disorders and particularly enjoys working with children and adolescents.She enjoys helping each of her clients overcome life’s difficulties and build a life worth living. 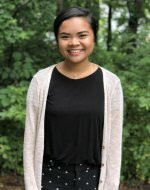 Daniele studied Psychology at The University of North Georgia and is working towards a Masters of Science in Clinical Counseling Psychology at Brenau University. She has experience working with clients related to substance abuse, anxiety, depression and relationship conflict. Daniele works with couples and individuals of all ages. She also works with AFC's Substance Abuse programs. Daniele utilizes Cognitive Behavioral, Motivational Interviewing, and Solution-Focused therapies. 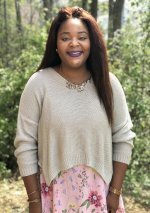 Vanessa studied Psychology and Child and Family Development at Georgia Southern and is working towards a Masters of Science in Clinical Counseling Psychology at Brenau University. She has experience working with clients related to substance abuse, anxiety, and depression. She specializes in working with children through play and expressive therapy. She also works with AFC's Values Clarification Course. 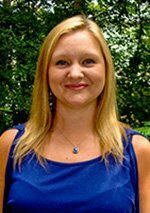 Vanessa utilizes Cognitive Behavioral, Person Centered, and Solution-Focused therapies. Whitney received her Bachelors of Arts in Psychology from Valdosta State University. She enjoys interacting with people and helping others reach their full potential, as well as, understanding the biological and environmental factors that are intrinsic to human behaviors and habitual actions. She plans on obtaining her master of science in Clinical Psychology. Whitney can answer questions about programs, scheduling appointments, and any other concerns that you may have. 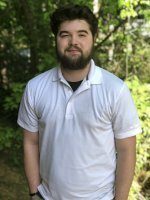 Nathan is currently pursing his associate's degree in Business at Gwinnett Technical College. He enjoys helping others and has customer service experience. He is able to coordinate and assist in administering urine drug screens.